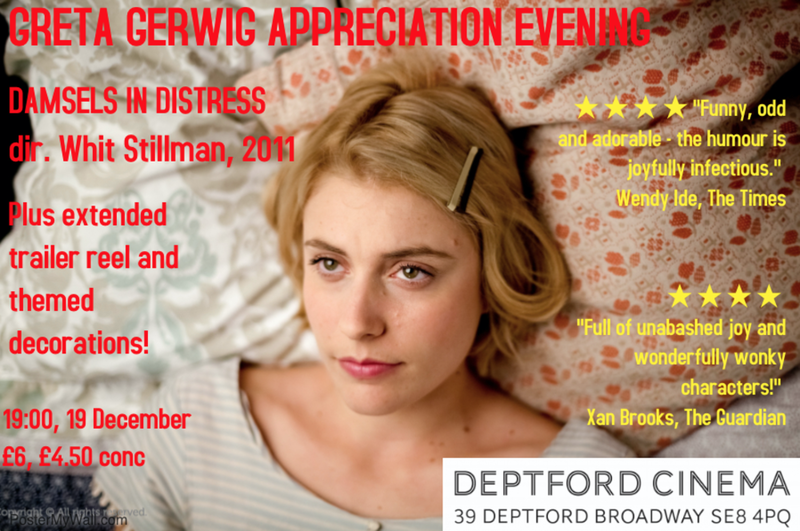 Deptford Cinema hosts a Greta Gerwig Appreciation Evening ahead of her very probable Golden Globe, Academy Award wins! At Seven Oaks College, three dynamic coeds -- Violet (Greta Gerwig), Rose (Megalyn Echikunwoke) and Heather (Carrie MacLemore) -- set out to change the boorish male atmosphere and rescue their fellow students from depression, grunge and low standards. They spot Lily (Analeigh Tipton) at a student orientation and welcome her into their group. However, when the gals become romantically entangled with a series of men, the fallout threatens their friendship and sanity.